2015 La Jota W.S. Keyes Vineyard Merlot 3 Bottle Collector Set | La Jota Vineyard Co. This wine, made to honor Howell Mountain vineyard pioneer W.S. Keyes, comes from some of the most highly prized Merlot vineyard land in the country. Winfield S. Keyes first planted grapes in this rugged vineyard in 1888, noting that the rocky, shallow soils here reminded him of Mediterranean islands near Sicily. 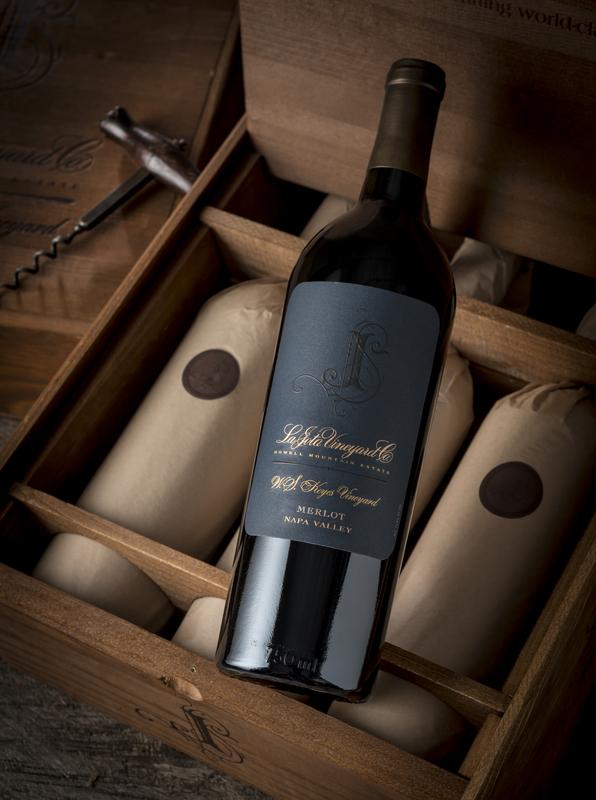 Very much like his neighbor, the La Jota Vineyard Co., he was convinced that Howell Mountain’s high altitude and abundant sunlight could produce wines of great depth, complexity and ageability. The wine shows richly-textured notes of black cherry, dark chocolate, espresso bean and kirsch that capture the classic La Jota combination of intense fruit and mineral complexity. The finish is long and evocative.